Municipal Property Insurance Company (MPIC) was formed by three municipal insurance companies — Wisconsin Municipal Mutual Insurance Company, Cities and Villages Mutual Insurance Company, and The League of Wisconsin Municipal Mutual Insurance — to provide a stable, long-term solution for property insurance for Wisconsin local government entities. Please contact MPIC to receive your quote. January 1st marked the completion of the second full year of operation for MPIC and much like the previous 1/1 effective dates, 2018 was a resounding success. Marked by 10% growth in insured count, MPIC saw growth in all market segments; Counties, cities, villages, towns and special districts. On the service side, MPIC announced a new online Asset Management System (AMS), which will be available on MPIC’s website in early 2018. The AMS will provide immediate access to insured Statement of Values (SOVs), Loss Runs and the ability to generate Certificates of Insurance. Within the AMS, online changes can be made to an insured’s SOV that reflect additions and deletions to the insured’s Buildings, Personal Property and Property In The Open (PITO). In conjunction with the introduction of AMS, MPIC also changed its' new property reporting requirements. Previously, MPIC required that insureds provide notice of newly acquired property within 90 days of acquisition for full coverage to be in force. There would also be a mid-term premium charge made for the addition of new property. Under the new policy provisions, MPIC will automatically cover all newly acquired property up to replacement cost, without the insured being required to report the property immediately. The insured only need to make sure that the new property is reported for the next renewal. The evolution of MPIC will continue throughout 2018, as we look for new ways to help you cover your exposures in the most economical and comprehensive manner possible. MPIC provides policy coverage that is specifically tailored to government entities. MPIC offers a streamlined enrollment process. 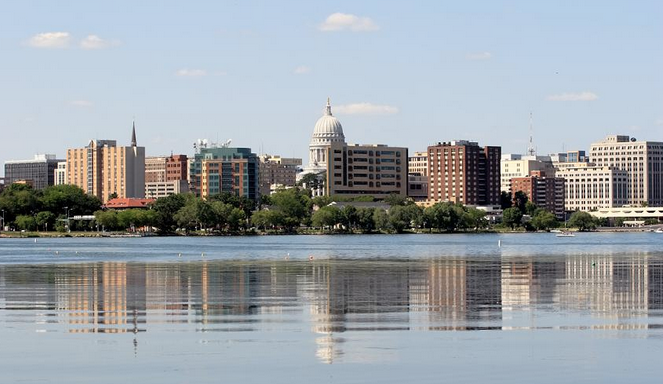 MPIC is an independent company that focuses on property insurance solely for Wisconsin local government entities. MPIC provides superior customer service.